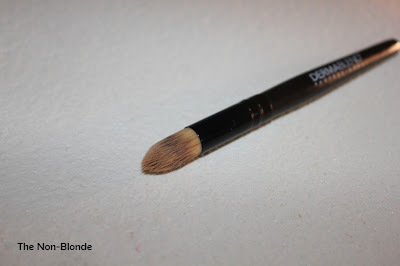 I picked this Dermablend concealer brush at Ulta earlier this year because of its shape. I love concealer brushes that can buff and blend the product and also do minor foundation touch ups. Of course, many fluffy eye shadow blending brushes can also perform this task, but sometimes you need a brush that's less fluffy. Dermablend concealer brush is made of synthetic hair and a supposedly eco-friendly bamboo handle and recycled aluminum ferrule. The handle is on the short side and would fit easily on most little makeup bags. The Dermablend concealer brush is definitely a good one. I find that I reach for it instead of the Sephora Airbrush #57 (on a side note, it appears that the issue with the #57 is quality control-related. 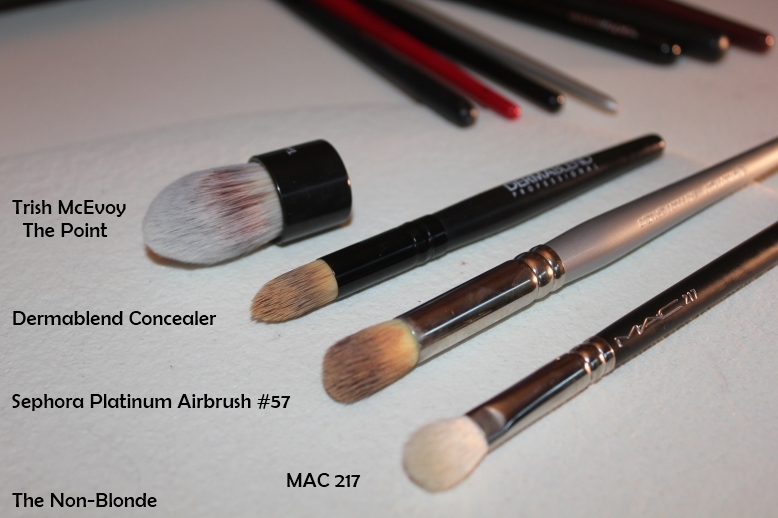 From feedback I got on my review it looks like no two of these brushes are alike. I hope they fix it soon and re-release a good and consistent version). It has to do with the pointy head (you can see the Sephora brush is blunt) that allows for precision and the way the hair responds. My one criticism of the Dermablend brush is that it has a little too much give. I usually prefer some firmness when buffing. I would have also loved a retractable version of this brush, but I know it's a lot to ask. None of my favorite concealer brushes offer it. Bottom Line: a great option. 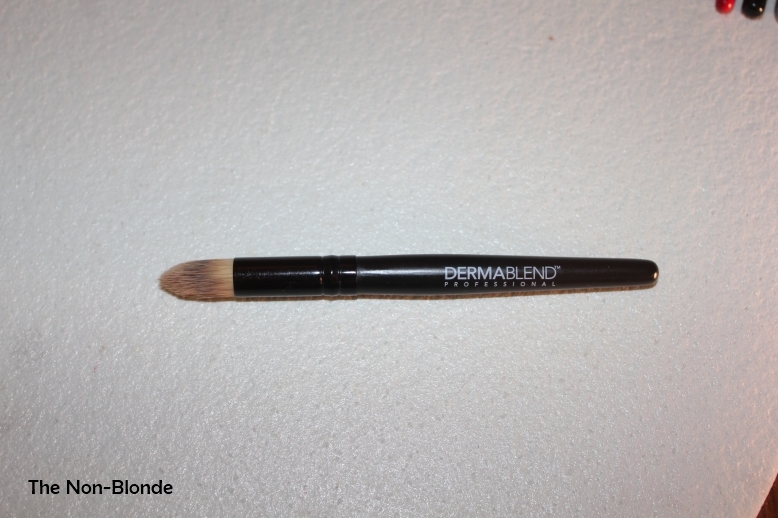 Dermablend Concealer Brush ($22) is available from Ulta, in store and online. I actually want an eyeshadow brush with this shape and density. 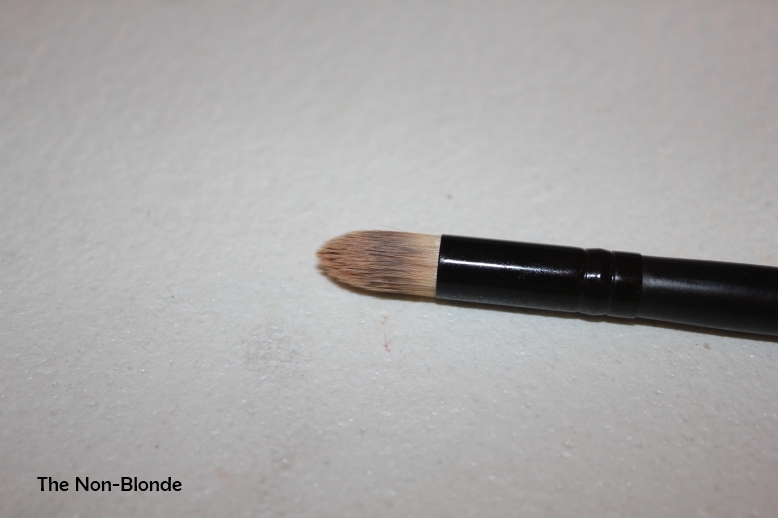 I've been using a typically smaller, flat concealer brush to apply product and then buffing out with a MAC 224. Maybe I need something like this, or (of course!) 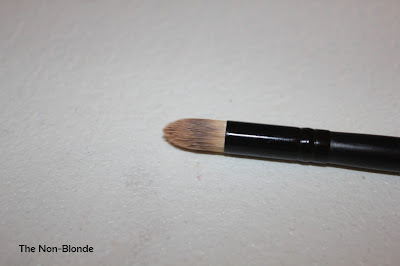 the Le Metier concealer brush.